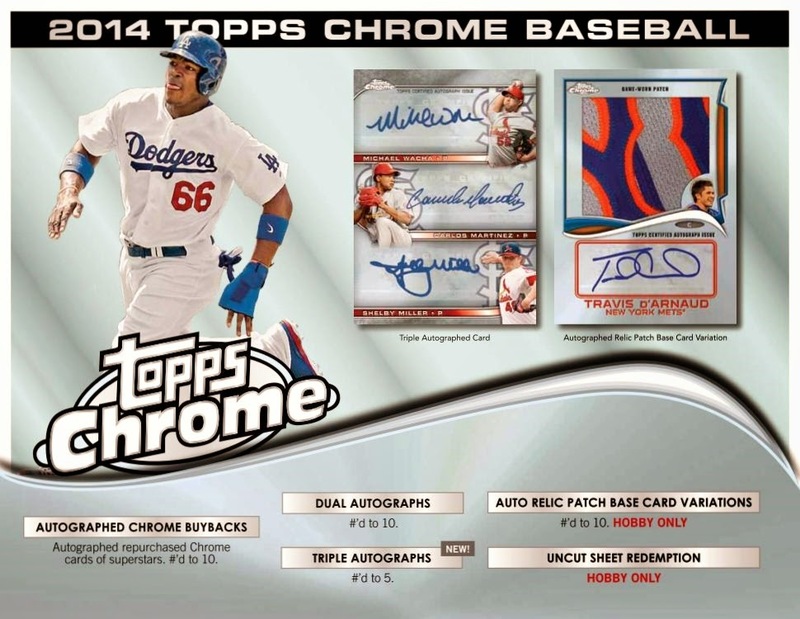 Sports Cards Plus Store Blog: 2014 TOPPS CHROME BASEBALL SET TO DELIVER AUTOGRAPHS AND SUPERFRACTORS OF JOSE ABREU, BRYCE HARPER, KEN GRIFFEY JR, MIKE TROUT, MIGUEL CABRERA, BUSTER POSEY, ALBERT PUJOLS AND YU DARVISH. 2014 TOPPS CHROME BASEBALL SET TO DELIVER AUTOGRAPHS AND SUPERFRACTORS OF JOSE ABREU, BRYCE HARPER, KEN GRIFFEY JR, MIKE TROUT, MIGUEL CABRERA, BUSTER POSEY, ALBERT PUJOLS AND YU DARVISH. Topps Chrome Baseball is back in 2014 and is better than ever. The 220 card base set includes only the best veterans and rookies found in 2014 Topps Series 1 and Series 2. Refractors are the chase factor of Topps Chrome and besides the regular refractors, look for X-Fractors, Blue (#/199), Black (#/100), Sepia (#/75), Gold (#/50), Red (#/25), Atomic (#10), SuperFractors (1/1) and Printing Plates (1/1). 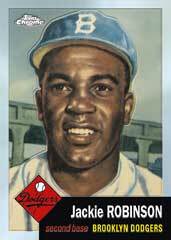 Also find VARIATION Short Prints with different photo of your favorite rookies and veterans. The majority of the autographs are Rookies with variation versions and colored refractor parallels. Silver and Black Refractors (#/25) come with a black frame and are signed in silver ink. There's more for autograph hunters. Topps of the Class Autographs (#/25) features top 2014 rookies. The Hobby-exclusive Back-to-Back Die-Cut Autographs (#/5) are double-sided cards with each side featuring an autograph of two different players. Autographed Chrome Buybacks (#/10) are autographed versions of old Topps Chrome favorites. Also included are Dual Autographs (#/10), Triple Autographs (#/5), and Auto Relic Patch Variations (#/10). Wait, there's more.... Inserts include Topps All-Time Rookies, Topps Shelf with autographed parallels #/25 and SuperFractor 1/1, 1989 Topps Chrome with autographed parallels #d/15 and SuperFractor (1/1), Chrome Conections Die-Cuts (can be put together like a puzzle and come in autographed (#/25) and relicl parallels (#/25). AND, randomly inserted in hobby packs are redemptions for uncut sheets of 2014 Topps Chrome Baseball! Topps Chrome HTA JUMBO boxes come with 5 autos and Jumbo Boxes also have four exclusive 1989 Topps Inserts. Pick your box from THE BEST CASES in The Hobby. Come to Sports Cards Plus MONDAY to reserve your box. Brandon came in to try 2014 Topps Finest Baseball. Here is Brandon's latest 1/1, a Mike Schmidt Autographed Print Plate. Nate and Brien came in to try 2014 Topps Football and both came up with these two beauties at the same time. Nate pulled a Teddy Bridgewater Autographed Variation RC and Brien pulled a Teddy Bridgewater Auto 1985 Topps. Anthony is all smiles because he pulled this 2014 Topps 1965 Tall Boy Johnny Manziel Auto #d/150. Leland knows The BEST CASES in The Hobby are at Sports Cards Plus. His box had this Teddy Bridgewater Autographed Mini RC #d/99 and Blake Bortles Autographed Variation RC. Nate has pulled somewhere between 30 to 40 (he lost count) Michael Jordan Autographs in the last two years. What's his secret? He buys all his boxes from Sports Cards Plus. Today Nate pulled two Michael Jordan Autos, a 2013-14 UD Black Michael Jordan Tri-Fold Book 1/35 and a 2012-13 Upper Deck All-Time Greats Basketball Michael Jordan Auto #d/45. The Lebron Autographed Exquisite came from 2014 Leaf Best of Basketball. Kenny knows well The Legend of The Super Hit Factory. He has pulled tons of great hits at Sports Cards Plus. Kenny's great hit is this 2014 Bowman Inception Kris Bryant Silver Ink Autographed RC #d/50. Rosendo's job keeps him on the road so he doesn't make it into the Super Hit Factory as much as he would like. But when he does make it to Sports Cards Plus he's always happy. Here's Rosendo with his 2014 Topps Tier One Jose Abreu Autographed RC and Wade Boggs Auto Jersey Card. These boys came in with their dad to try some great 2013-14 Panini Basketball products and get a couple of FREE 2014 Panini VIP Gold Packs. Here they are with their Andrew WigginsVIP Gold Power Prizm RC 1/5 and Manu Ginobili VIP Gold Prizm #d/10. You always get more at Sports Cards Plus. Leland came in to try a box of 2014 Topps Finest Baseball and pulled this Mariano Rivera Auto Red Refractor #d/25. Mike loves 2014 Upper Deck Goodwin Champions. With pulls like this who's to blame him. Mike pulled this Peyton Manning Autographed Goudey insert. Odds of pulling any Autographed Goudey insert is 1:7200. Mike knows at Sports Cards Plus you can forget the odds. Mike says at only $42.99 he's coming back for 2013 Goodwin Champions. Be like Mike come to Sports Cards Plus and pull your Super Hit.